A young Letter Bee who was introduced in chapter seven. He is very skilled at killing Gaichuu. His parents were killed by Gaichuu when he was young, leading Zazie to become a Letter Bee so that he could seek revenge against all Gaichuu. Because he is so focused on killing Gaichuu, delivering Letters is of course little interest to his. Zazie is very fond of cats. His Dingo is a big cat resembling a black panther, named Wasiolka. 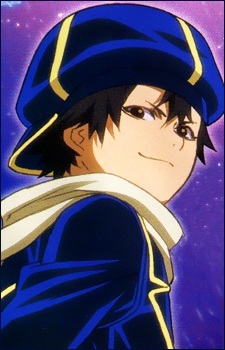 Zazie's Spirit Amber attack is called Aotoge (Blue Thorn), which uses shards of his "Malice" instead of his heart.